David R. Blancett, AFCPE, an Internationally Renowned Expert and Consultant on the Financing, Purchase and Sale of Yacht Portfolios, is Now a Member of Experts.com. David R. Blancett, principal at Yacht Risk Management, LLC, has spent over 30 years specializing in banking and marine lending. As a past president of the National Marine Bankers Association, he directed the purchase and sale of yacht loan portfolios, developed credit review procedures for yacht lenders, coordinated the foreclosure and liquidation of large yachts, and managed yacht loan credit analysts and originators. Blancett retired from Wachovia Bank as a Senior Vice President and President of their First New England Financial yacht lending subsidiary in 2002. Blancett's experience includes the successful design and management of national marine lending programs for First National Bank of Chicago and John Deere Credit, direction of due diligence and bid formation for the acquisition and disposition of several multimillion dollar yacht loan portfolios, formation of audit and credit review procedures, and coordination of the foreclosure and liquidation of large yachts. While at John Deere Credit, he held credit authority for loan requests up to $750,000 and regularly presented and sponsored yacht loans up to $5,000,000. Mr. Blancett’s consulting services are offered to lenders, insurance companies, businesses and individuals with single yachts or yacht portfolios. His services encompass a full range of expertise and include yacht loan structuring, documentation and insurance, portfolio sales preparation and evaluation, foreclosure, repossession and liquidation coordination, and vendor selection and negotiation. 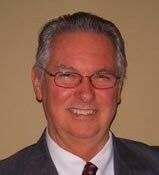 David R. Blancett is one of Experts.com's cadre of world-class expert witnesses and consultants. His engagements are within the domains relating to loan documentation and insurance issues, sales due diligence issues, foreclosure, repossession, and liquidation issues, yacht broker standard of care issues, and vendor negotiation issues.